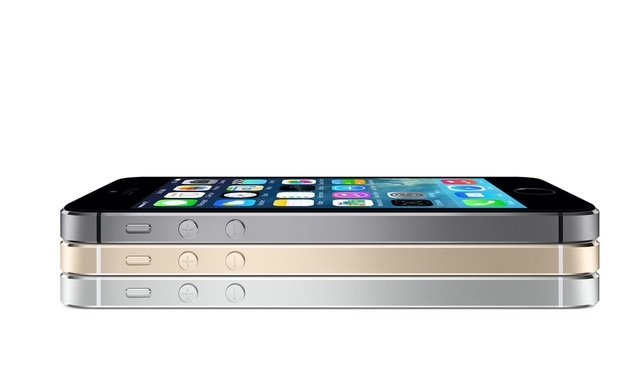 Walmart offers iPhone 5s for $189, iPhone 5c pre-orders for $79 with two-year contract. Walmart wants you to purchase your new iPhone through its stores. The company has confirmed to The Verge that it will sell the both the 16GB iPhone 5c and iPhone 5s for $79 and $189, respectively. That’s $20 to $10 off the launch day price set by Apple, and while it isn’t a massive discount, it is unusual for retailers to undercut the MSRP on launch day when so many are looking to upgrade. Of course, you’ll need to sign a two-year agreement with either AT&T, Verizon, or Sprint to get the deal. (Plans for T-Mobile, which doesn’t sell devices on contract, are unclear.) Additionally, you’ll be able to pre-order the iPhone 5c through Walmart; you’ll need to go to a store location starting tomorrow, the 13th, to reserve a device, and you’ll have until the 25th to pick it up. Both the iPhone 5c and 5s are launching on the 20th, but the latter isn’t being offered for pre-order from any retailer. Outgoing iPhone models are also getting a discount: the 16GB iPhone 5 will be sold for $79 with a two year contract starting today, putting it interesting head-to-head with the new (and very similar) iPhone 5c. The iPhone 4S will be sold at 97 cents on contract, and the ancient iPhone 4 will cost 10 cents on contract and it will come with a $100 Walmart gift card. Neither of the two older phones are a good deal considering you’ll be locked into a costly two-year agreement with an outdated phone that lacks LTE connectivity. The retailer’s launch plans come just a day after it announced a smartphone trade-in program to compete with Amazon, Best Buy, Apple, and others. You’ll be able to trade in your phone starting on the 21st, one day after the new iPhones launch, and any credit you receive will be applied to your new smartphone purchase (on a two-year contract). This isn’t the first time Walmart’s undercut Apple’s launch day price: when the big box store offered iPhone pre-orders for the first time last year (with the 5), it made a splash by putting the device on sale at $187.97 with a two-year contract. Retailers earn valuable commissions for signing customers up to lengthy and expensive post-paid contracts with the nation’s largest carriers. These types of contracts are most lucrative for carriers. This entry was posted in Apple news and tagged Free, iPhone 5C, iphone 5S, two-year contract, Walmart. Bookmark the permalink. Apple Debuts New iPhone 5s and iPhone 5c Cases and Yes, Docks. Verizon and Sprint pre-order times for iPhone 5c out in the wild.